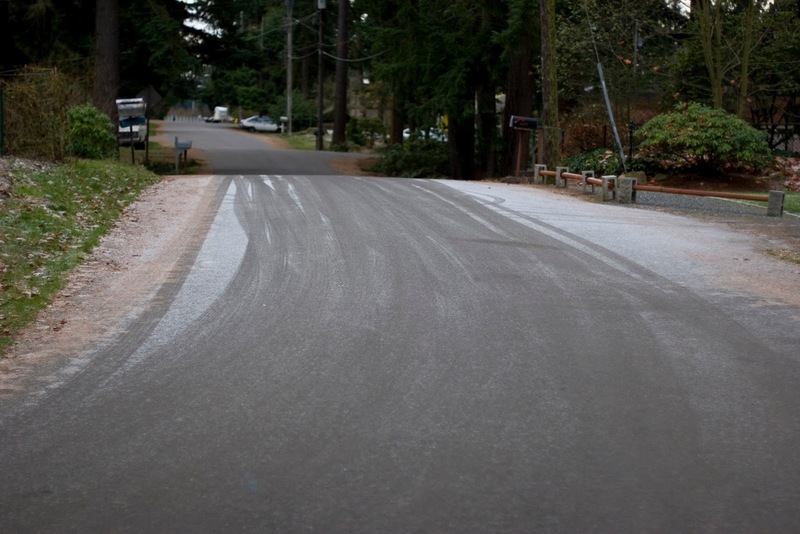 Dusting of the white stuff in Shoreline, December 6, 2009. Rain is expected to return by Thursday evening, going into the late night hours. With high temperatures Thursday in the low-mid 50's and lows down to the mid 40's, this is going to be a warm day for this time of year. Friday rain is expected to continue, with up to a half inch of rainfall possible and highs near 50°F. Friday evening the rain breaks off into showers, and that pattern will extend through Sunday. Highs in the upper 40's for the weekend, lows in the upper 30's. Now to discuss this looming weather, and how it's setting up. That "Polar Vortex" in the midwest is expected to retreat north later this week. Once the Polar Vortex has retreated, it is expected to redevelop over British Columbia over the weekend in a slightly less intense form. Sunday night this new mass of arctic air slides south over Washington and Oregon. We will not see the severe cold temperatures the midwest saw Wednesday due to our elevation near sea level and our proximity to the Pacific Ocean. Temperatures Sunday night are expected to dive into the low 30's or upper 20's after midnight, with rain showers turning over to snow showers. Snow showers are in fact possible Monday through Wednesday morning. We are possibly looking at breezy north winds as well during this cold period. Models for snow this far out are not very good at forecasting accumulations. Right now, and this has been changing a lot, Shoreline and Lake Forest Park could see a dusting to a trace. Places north of Lynnwood appear to expect more snow. Though the accumulations are inconsistent in the forecast models, the general idea has been consistent for the first time this winter season. We likely will get cold, and should have snow showers in the region. Some models suggest we could see a low temperature in the low 20's or upper teens Tuesday morning, but I'm going to lean towards mid-upper 20's for now. I will provide updates as we get closer to the weekend when we might have a better idea of where the snow will fall and how much of it will fall.